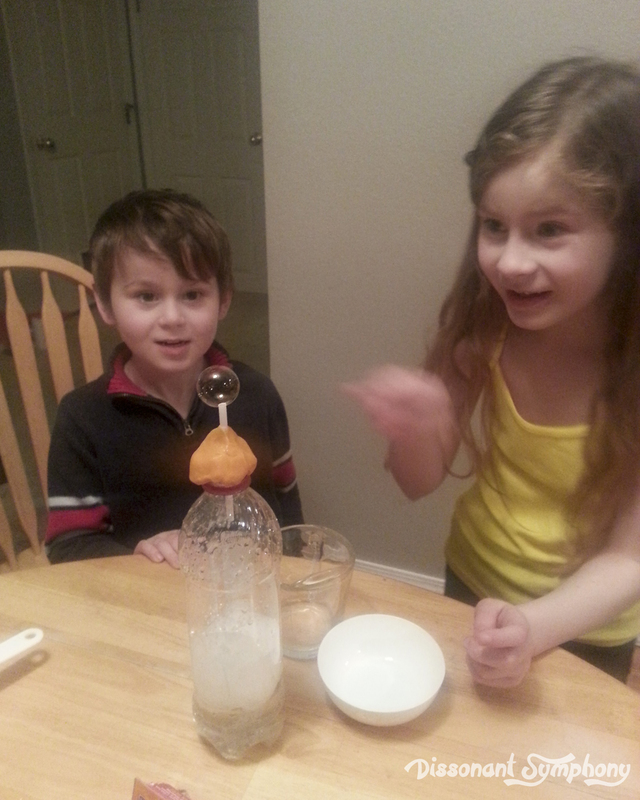 One of my favorite things about Classical Conversations is the integration of science experiments. Ok. I’ll admit it. Pretty much everything is one of my favorite things about Classical Conversations. But I really do enjoy the science portion. 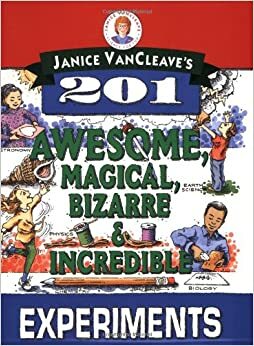 We use Janice VanCleave’s 201 Awesome, Magical, Bizarre, & Incredible Experiments – which contains easy experiments that (mostly) use normal household items. So the science lessons are very easy to recreate at home. You can check this book out from your local library, but I’d be willing to bet you’ll end up purchasing it. “Bubbler” (#93 in the book) was a recent evening activity that was very entertaining. The purpose of the experiment is to demonstrate the effect gas pressure has in a closed container. Spoiler alert. We made bubbles. Go figure. An acid and a base mix together to form a gas that has nowhere to escape from but your bottle top. Too bad it’s all blocked up with play-dough. Except for a small opening thru a straw. 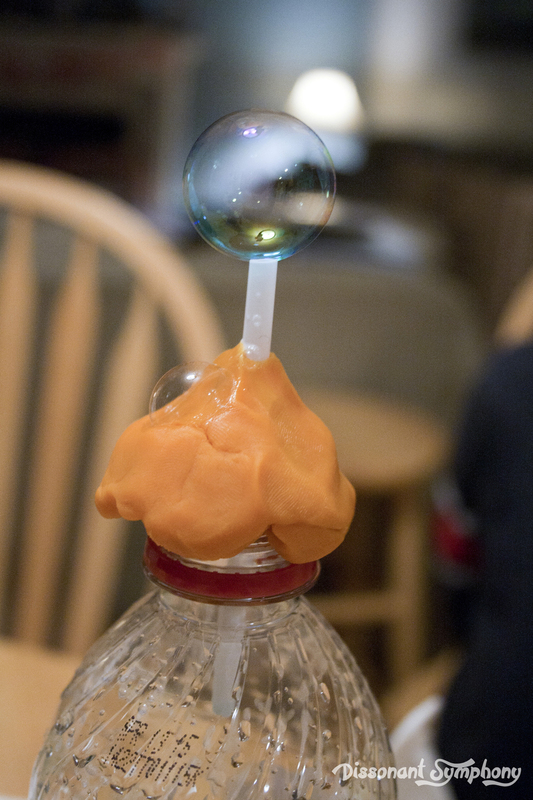 You cover the straw opening with a little bit of dishwasher soap, and when the gas is forced out, it blows a bubble. Over, and over, and over. Ah-mazing! You can tailor the explanation of what’s happening to the ages of your children. 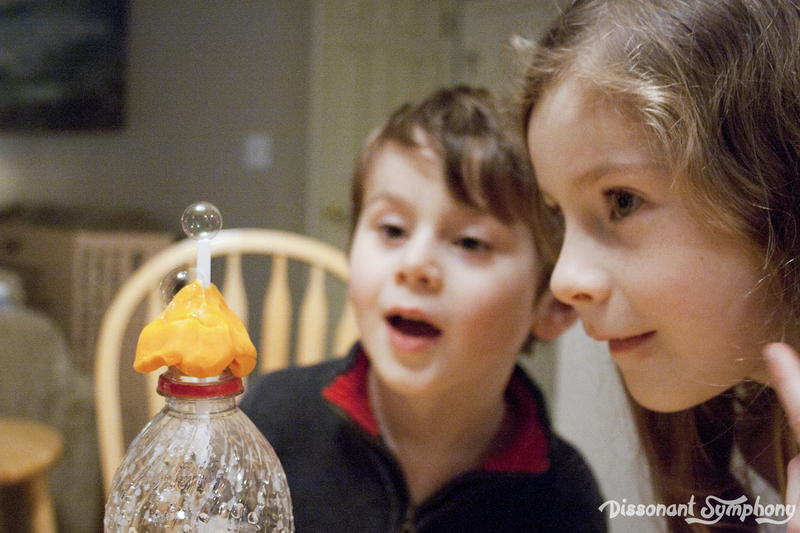 There are several descriptions here of how baking soda and vinegar make a gas. When we were through with the “official” experiment, we added more acid/base to see what happened. Then we had the kids hypothesize what would happen if we shook up the bottle. 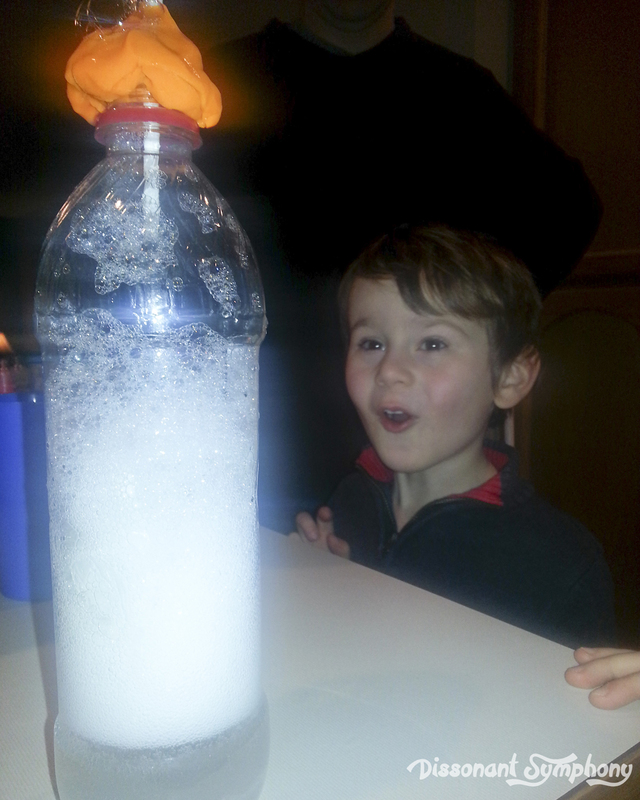 I’ll tell you what happened…the bottle full of crazy bubbles made a very excited little boy. What fun!